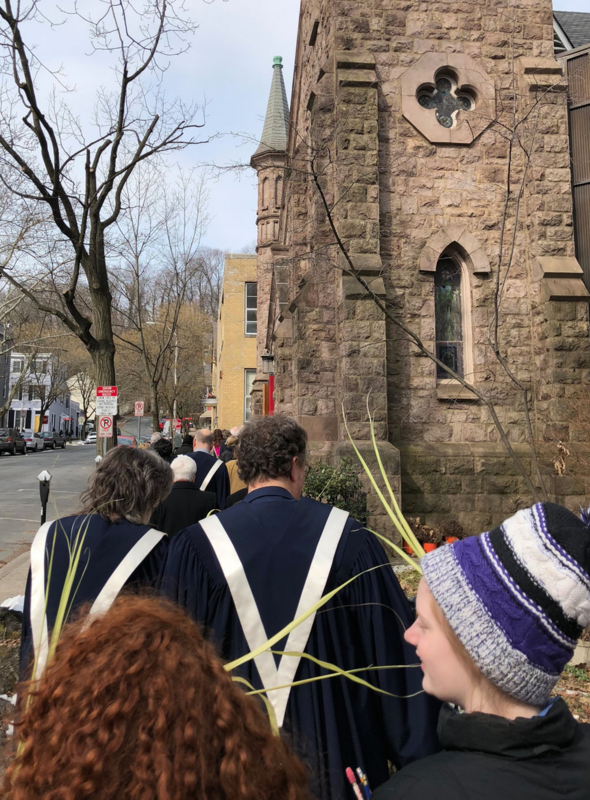 Meet outside at 10:25 AM at the corner of N. Third and Spring Garden Streets to join the festive palm procession into the church. Those who would find it difficult to walk down the sidewalk to the front of the church are invited to enter the back door as the procession begins and go straight into the Sanctuary. NOTE: If the weather does not cooperate that morning, we will gather in the Brainerd Gathering Area prior to worship for our joyful procession of palms.